The text of this book is not yet available online here except the first chapter (text only). The whole book is available with explanatory additions as a PDF file here (not part of the Project Restore web site). 2. Persecution in the First Centuries 23. What is the Sanctuary? 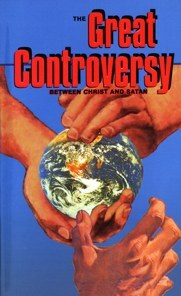 Note: This book is a reissue of the 1884 edition of the religious classic, The Great Controversy. In printed it is a 448-page paperback, approx. 6.7" x 4.2".